The Daily Meal has revealed their list of America’s Best High-End Steakhouse Chains for 2015. 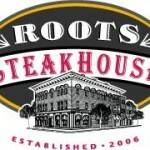 The eateries on the list were required to have at least 5 locations and were graded on steak variety, meat quality, side dish quality, wine list, decor, and overall dining experience. Wouldn’t you know it, the greater Bergen County area is home to four of the chains — including number #1: The Capital Grille (#1 Paramus), Morton’s (#6, Hackensack), Fleming’s (#7, Edgewater) and Ruth’s Chris (#9, Weehawken). The Palm (#8) has a location in Atlantic City and Wolfgang’s (#4) just opened an outlet in Sommerville, NJ.